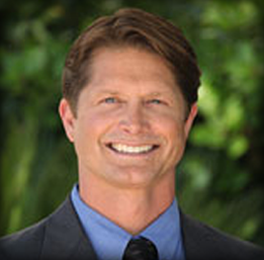 Mr. Aldrich graduated from University of California, Los Angeles in 1989. He has been in the real estate industry since 1990. From 1991 through 2000, Mr. Aldrich worked as a leasing agent, acquisitions manager, construction manager and portfolio manager of over two million square feet of industrial and office properties for Pacifica Capital Group. He was then regional manager of the Los Angeles market for First Industrial for one year after First Industrial purchased Pacifica’s industrial portfolio. From 2002 to the present, Mr. Aldrich purchased industrial, retail (primarily national credit NNN properties in markets outside of California) office and apartment projects under Ascent Affiliates, Inc. A company he owned and funded. Mr. Aldrich also created a loan fund beginning in 2004 that secured Trust Deeds on office, industrial, automotive, single family and multifamily properties that generated approximately a 9-10% annualized return for the investors of the Fund since its inception. Throughout his career he has represented a select group of clients in purchasing properties and understands the process, from start to finish, of securing real estate as an investment vehicle. During his career Jim has owned, operated, managed, developed, leased and placed loans on more than 200 commercial properties. Jim lives in Malibu, has been married to his wife since 1995 and has three daughters. © 2014 PropFund, L.P. All rights reserved.